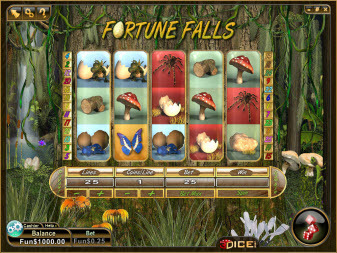 Online Play: This slot machine is featured at online casinos that run 3Dice Casino software. 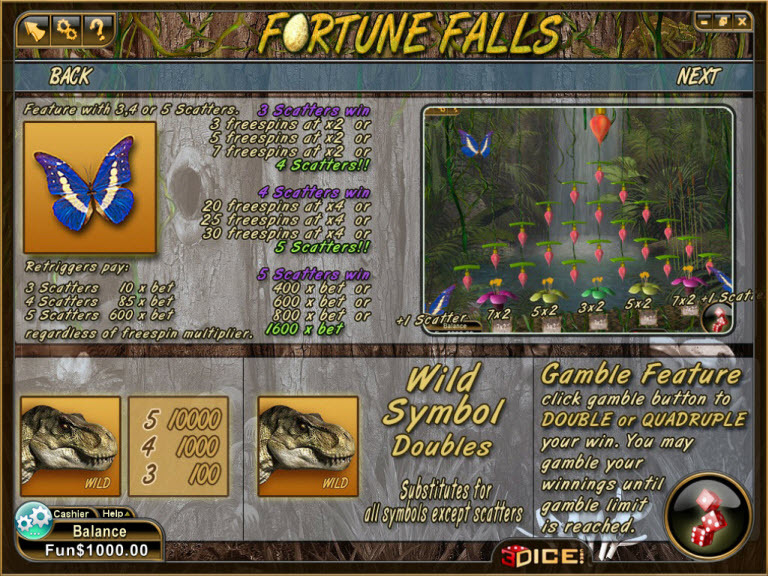 You can try it risk-free by utilizing the free, no-deposit welcome bonuses that are offered at many 3Dice Casino sites; if you decide to play for real, then be sure to play at a 3Dice Casino casino that offers an initial deposit bonus of at least 100%. 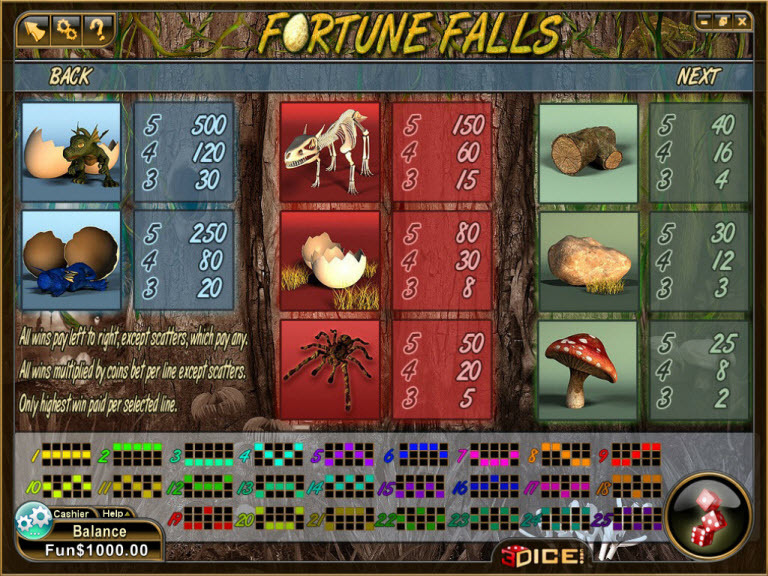 Similar Slots: If you like Fortune Falls, you might like these other slot machines from 3Dice: Arctic Adventure, Coral Clams, Industria, Payola, Super Suits+.